How Much Power does Your Body Have over Your Emotions? I had an interesting experience once that reminded me exactly how powerful our body’s connection with our emotions and our mood truly is. I was working on a project at the office when a call came in. There was a server down emergency. I prepared to go to the client’s site and troubleshoot the issue. I was happy to go. I want to stress that part. I was truly happy to set aside my project and help this client. But there was a delay in getting the dispatch order. And in this instance I had to wait for the green light before going. So I kept working on my project—but I was ready to roll at a moment’s notice. Then I instantly stopped, smiled, and said, “I hope you know I’m playing. I’ve been ready to go since the call came in.” While I said this I was reflecting on my internal reaction. Frankly I was shaken. I’ll tell you why in a moment. Our receptionist seemed fine with my antics, looked at me with a “What a goof” expression, and thanked me for my willingness to help. 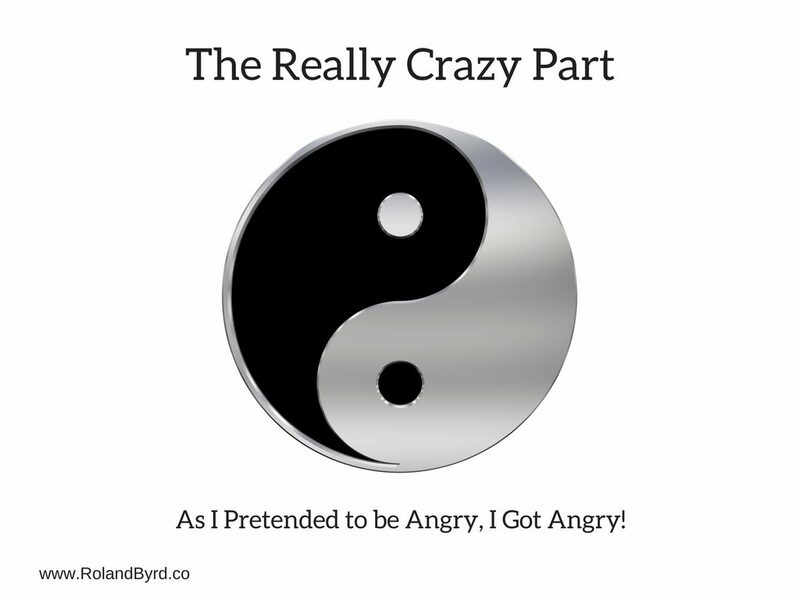 As I pretended to be angry…I actually got angry. I’d mimicked anger physically—voice, actions, and body posture, so my brain produced feelings of anger. And wow, was I angry! I quickly released my feelings of anger. Then I thought about the power of this example. I’d gone from content and happy to angry—in less than 6 seconds—because I’d unintentionally used my body to tell my brain that I wanted to feel angry. Isn’t that what it means? If you use your body in a way that produces anger, you’re actually telling your mind you want to be angry. Likewise, if you use your body in a way that produces happiness, love, and joy, you’re telling your mind to give you those emotions. You know posture affects your mood. You understand smiling cheers you up. The way you use your body shapes your life in many ways. How Are You Using Your Body? Sit up straight or slouch? Walk tall with your head held high or hunch over? Smile as often as you think about it or walk around frowning? Talk in strong clear tones or mumble or whine? Exercise regularly or live an inactive life style? Go outside and enjoy your day or sit inside? As you look at that list you know which actions are better for your mood. I encourage you to give attention to your physiology today. Notice what you’re doing with your body and how it affects you. Then change the things you need to change! Now, if you’ll excuse me, I’m going to go exercise.